A wide swath of tech news mostly focused on FOSS and Linux as a whole. Lots of news and views but just too much extra banter to enjoy its' length. Ubuntu's new release is here, and this one might be one of the most important in a while. But is it worth upgrading from an LTS? We review and debate just that. Plus some great picks, community news, and more. Special Guests: Alan Pope, Brent Gervais, Ell Marquez, and Martin Wimpress. The way we’ve been thinking about Desktop Linux is all wrong. We start by defining Desktop Linux, and where it might be going in the future. Plus we throw a studio party for our new look, and the text editor that’s taking the crew by storm. Special Guests: Alan Pope, Ell Marquez, and Martin Wimpress. Is there really any advantage to building your software vs installing the package? We discuss when and why you might want to consider building it yourself. Plus some useful things Mozilla is working on and Cassidy joins us to tell us about elementary OS' big choice. Special Guests: Brent Gervais, Cassidy James Blaede, and Martin Wimpress. Why we sometimes go too far with our Linux advocacy, and a few humble strategies to switch people to Linux. Plus an update to the most important text editor in the world, the new distro causing controversy, and what is a tainted kernel. Special Guests: Brent Gervais, Ell Marquez, and Neal Gompa. Developers at Netflix are creating the next set of super powers for Linux, we'll get the details straight from the source. Plus some good Debian news, our tips for better battery life, and we play a little Hot SUSE Potato. Special Guests: Brent Gervais and Ell Marquez. A new voice joins the show, and we share stories from our recent adventures at SCaLE 17x. Plus we look at the Debian project's recent struggles, NGINX's sale, and Mozilla's new service. Special Guests: Alex Kretzschmar, Brent Gervais, and Ell Marquez. We reveal all and look at the mess that is our home directories. How we keep them clean, back them up, and organize our most important files. Plus Gnome lands a long awaited feature, Firefox gets a bit more clever, and the big money being made on Open Source. Special Guests: Alan Pope, Anthony James, Brent Gervais, Daniel Fore, Dustin Krysak, and Martin Wimpress. We head to the Raspberry Pi corner and pick the very best open source home automation system. Plus some great news for Gnome users, OBS studio has a new funding model, and a nostalgic chat with our study buddy Kenny. Special Guests: Alex Kretzschmar, Brent Gervais, and Martin Wimpress. Will there ever be another "big" Linux distro, or has that time passed? Plus two popular Linux desktop apps see a big upgrade, and Wes explains to Chris why he should care a lot more about cgroups. Special Guests: Brent Gervais and Neal Gompa. The hype around a new security flaw hits new levels. Fedora has a bunch of news, and we discover what's new in the latest Plasma release. Plus we fall down the openSUSE rabbit hole when Ell updates us on her desktop challenge. Special Guests: Alan Pope, Brent Gervais, Daniel Fore, Ell Marquez, Martin Wimpress, and Neal Gompa. Why FOSDEM might be the quintessential community event, and our thoughts after playing with Pi-Hole. Plus community news for everyone’s favorite video player, GNOME Shell gets a major speed boost, and why cryptocurrency might truly be dead. Special Guests: Alan Pope, Brent Gervais, Daniel Fore, and Martin Wimpress. We're playing Robin Hood with the content, and a new member of our team joins to tell you all about it. Plus some hard details on the Librem 5, we visit the Canonical Corner, and a big batch of great Linux picks. Special Guests: Brent Gervais, Ell Marquez, and Martin Wimpress. An embarrassing vulnerability has been found in the apt package manager, we’ll break it all down. Plus Alessandro Castellani tells us about his plans to build a professional design tool for Linux. We also have a batch of big community news, and the case for the cloud killing Open Source. Special Guests: Alessandro Castellani and Brent Gervais. ZFS on Linux is becoming the official upstream project of all major ZFS implementations, even the BSDs. But recent kernel changes prevent ZFS from even building on Linux. Neal Gompa joins us to discuss why it all matters. Plus some surprising community news, and a few great picks! Special Guests: Dalton Durst and Neal Gompa. Joe joins Wes to discuss the state of Adobe's Creative Cloud on Linux and why the Fish shell might be your favorite new tool. Plus community news, a reality check on Linux gaming, and some shiny new hardware. Special Guests: Jason Evangelho and Peter Ammon. We start off the new year with our hopes and dreams for Linux and open source in 2019 and beyond. Plus Clear Linux aims to build the ultimate Linux desktop based on Xfce, and it looks like GNOME is closing the performance gap. Special Guests: Alan Pope and Brent Gervais. We get serious and bring in a special referee to help us lock in our Linux predictions for 2019. Special Guest: Alan Pope. We’re just back from touring System76’s new factory, and getting the inside scoop on how they build their Thelio desktop. This is our story about walking in as skeptics, and walking out as believers. Plus some surprising community news, a few great picks, and more! We have a WireGuard success story to share, and it's probably not what you're expecting. Plus we check in on Ubuntu 19.04, start the search for an Emby replacement, and how to use Reddit on the commandline. Special Guest: Alex Kretzschmar. We chat with a developer who's gotten Linux running on iOS devices, do a deep dive into Clear Linux, and discuss Xubuntu ending 32bit support. Plus why Android in the cloud, and a bunch of community news. Special Guests: Alan Pope, Martin Wimpress, and Theodore Dubois. Fedora might take a year off, to focus on it self. Project Lead and Council Chair Matthew Miller joins us to explain this major proposal. Plus Wimpy shares his open source Drobo alternative, and our final Dropbox XFS hack. Special Guests: Brent Gervais, Martin Wimpress, and Matthew Miller. Android and Ubuntu are working exceptionally hard to create longer support cycles. We’ll highlight the work that makes this possible, and what’s motivating these two different projects to strive for Very Long Term Support. Plus Chris reviews how his new Thunderbolt 3 GPU docking station works under Linux, and why he’ll never be undocking again. Special Guests: Alan Pope, Brent Gervais, and Martin Wimpress. Christian F.K. Schaller from Red Hat joins us to discuss seamless Linux upgrades, replacing PulseAudio, some of the recent desktop Projects Red Hat’s been working on... And the value they get from them. Plus a big batch of important community news, Wimpy’s Thunderbolt Dock experiments, and way to run pacman on any Linux distribution. Special Guests: Alan Pope, Christian F.K. Schaller, and Martin Wimpress. Have the revolutionaries won the war against proprietary software? That’s the argument being made. And we argue, what else did you expect? Plus some performance improvements inbound to Linux, and the perfectly proportioned open source project we’ve recently discovered. Special Guests: Alan Pope and Brent Gervais. We speculate about a future where IBM owns Red Hat, and review the latest Fedora 29 release that promises a new game changing feature. Plus Chris returns from MeetBSD with his review, and we get the inside scope on System76’s Thelio hardware. Special Guests: Alan Pope and Martin Wimpress. The lead developer of PipeWire Wim Taymans joins us to discuss Linux’s multimedia past, and its exciting future. They promise to greatly improve handling of audio and video under Linux. Plus we review the professional grade Precision 5530, tour our new studio in a box, and release one of our first production tools as free software! Special Guest: Wim Taymans. elementary OS’ latest and greatest released today, and we talk with Dan and Cassidy from the project about their biggest release yet. Then community news, a preview of upcoming Ubuntu 18.10, and we announce our own free software project. Plus a chat with Dalton about the new Ubuntu Touch release and we find a real Photoshop replacement for Linux. Special Guests: Alan Pope, Brent Gervais, Cassidy James Blaede, Dalton Durst, Daniel Fore, and Martin Wimpress. Red Hat developer Andy Grover joins us to discuss Stratis Storage, an alternative to ZFS on Linux and its recent milestone. Also Google subtracts Plus, some KDE and GNOME news, and a bit of forgotten Linux history. Special Guests: Alan Pope, Alex Kretzschmar, Andy Grover, and Martin Wimpress. What if desktop computing went a very different direction in the late 90s? Deeply multithreaded from the start, fast, intuitive, and extremely stable. This is the world of Haiku, and we go for a visit. Plus the latest community news, true flicker freedom comes to Fedora, and our favorite tools for easy virtual machines on our laptops. Special Guests: Alex Kretzschmar and Brent Gervais. We chat with Nate Graham who’s pushing to make Plasma the best desktop on the planet. We discuss his contributions to this effort, and others. Plus we get the scope on a new Juno feature from the source, and the creator of WSLinux a distro built specifically for Windows 10’s Windows Subsystem for Linux joins us. Also some community news, some old friends stop by, and more! Special Guests: Alex Kretzschmar, Brent Gervais, Cassidy James Blaede, Martin Wimpress, and Nate Graham. Linus takes a break and the Linux kernel adopts a new Code of Conduct. We work through these major watershed moments, and discuss what it means for the community. Plus our review of our brand new ThinkPad T480’s running Linux, the bug you need to know about, and why this might be one of the greatest Linux laptops of all time. Special Guests: Alex Kretzschmar, Brent Gervais, Daniel Fore, and Eric Hendricks. We announce our big news, Jupiter Broadcasting is joining Linux Academy and what we have planned for the future is huge! Plus a new NextCloud lands, concerns are brewing for the Solus project, and a report from the recent Libre Application Summit. Special Guests: Alan Pope, Anthony James, Brent Gervais, and Martin Wimpress. Intel has disappointed the kernel community with its latest security disclosures but there’s still hope for a better future. That’s more than can be said for the state of privacy on Android, so we discuss some alternatives. Plus the latest community updates, a new timeline for the Librem 5, tempting new Chromebooks, and some top picks. Special Guests: Alan Pope and Eric Hendricks. Steam Play rocks the Linux world as it promises new levels of compatibility with AAA Windows games. But the story of how Valve is doing it might be just as fascinating. Plus community news, our thoughts on building a market for Linux apps, the latest from UBPorts, and more good news from LVFS! Special Guests: Alan Pope, Brent Gervais, Marius Gripsgard, and Martin Wimpress. Docker controversy is brewing, but it's probably not what you think. We get around of community updates directly from the source, and why Debian an Intel are playing the game of he said, she said. Special Guests: Brent Gervais, Cassidy James Blaede, Daniel Fore, and Martin Wimpress. The FreeBSD community shares the hard lessons learned from systemd, we play some great clips from a recent event. Plus our work-arounds for Dropbox dropping support for anything but vanilla ext4, the return of an old friend, and a ton of community news and updates. Special Guests: Eric Hendricks and Martin Wimpress. GNOME is discussing big changes, Elementary OS has big news, and a big bug has been found in Linux. Plus an update on our PeerTube efforts, our take Android P, and Lenovo’s big commitment to ThinkPad’s running Linux. Special Guests: Alan Pope, Cassidy James Blaede, Daniel Fore, and Eric Hendricks. We get an update from Dell’s Barton George on their Linux initiative Sputnik, cover some important community news, and the uncomfortable questions raised by Krita’s new financial boost. And some simple tips to improve your security at the edge. Special Guests: Alex Kretzschmar, Barton George, Brent Gervais, and Eric Hendricks. Another potential desktop Linux app is scared away by an aggressive free software community, and we struggle to find the balance between our moral ideals, and getting work done. Plus some community news, old friends return, and much more. Special Guest: Martin Wimpress. Atari has released details about its upcoming Linux powered console, some of us are sold… And some of us are rather skeptical. Plus how SSH got its port, Mir goes to the farm, and what happens when Linus retires? We reflect on recent FOSS security screw ups and ponder a solution powered by community. Plus get you caught up on community news, Firefox changes, and poke the new minimal Ubuntu. A major Internet monopoly might just be on the edge of cracking thanks to free software, a bit of initiative, and a lot of gumption. We'll follow up on a major experiment we kicked off last week. Plus SUSE is sold again, Linux on the Nintendo Switch just got way better, Mint has a new release, we look at elementary OS Juno's first beta, and we cover a ton of community news. Special Guest: Eric Hendricks. Big changes are coming to Fedora with the merger of CoreOS. We chat with a couple project members to get the inside scope about what the future of Fedora looks like. Plus the big feature of the new GitLab release, how Pocket might be Firefox's secret sauce, and why Chris is really excited by PeerTube. Special Guests: Dusty Mabe and Eric Hendricks. Free Software projects concerned about Article 13 are claiming it could destroy free software as we know it. We debate this controversial copyright law about to be voted on in the EU. Plus a big batch of community news, some exciting hardware updates, and a bit of retro gaming. Plus Chris shares what got done at Linux Academy, and more! There is trouble at CopperheadOS, Plasma has a shiny new release, and we share the story of how Linux has powered the curiosity rover for 17 years. Plus our stories from a weekend of Linux parties, Texas LinuxFest, SouthEast LinuxFest, and FOSS Talk Live. Microsoft has purchased GitHub, sending shock-waves through the free software community. We discuss the bidding war that took place, and it leaves us questioning what the future of Electron might be. Plus we’ve found a great batch of Linux apps you're going to want to try, NextCloud turns two, big changes to the KWin project, and the details on Samsung’s Chromebook Plus landing Linux app support. After we make ourselves at Gnome, we look at some future open source goodies coming your way, look at how Canonical’s upstream pitch, and get excited about the next great Linux filesystem hope. Plus Chris’ first wreck on the road to Texas, Thunderbolt networking, and our results from the best Linux laptop for 2018. What is the best laptop for Linux in 2018? How about the best Evernote killer, and production setup? We cover the best of the best this week. Plus Gnome’s performance hackfest, Mycroft goes Blockchain, and what’s behind Tesla’s big GPL dump. The Linux community is eating its own this week, as attention seeking plucky YouTuber’s trade on free software’s good name for clicks. We learn the real story behind some of the Internet’s recent free software freak-out. Plus a fantastic batch of community news and updates, some cool tools, and we discuss if it’s time to give up the Qt or GTK purist lifestyle. Chrome OS is officially getting full-fledged Linux apps, and we ponder if this is truly a win for Linux. Plus a ton of app picks this week, community news, and more. Ubuntu and Fedora have new releases, and our early impressions are great. We’ll share the features that we think make these distros some of the best Linux desktop releases ever. Plus some important community news, some Darktable tips for beginners, and some select clips from this year’s LinuxFest Northwest. Special Guest: Brent Gervais. We get the inside scope from the Ubuntu flavors prepping for the 18.04 release, and then we finally make good on a long running threat. Plus the quiet shuttering of the Windows division inside Microsoft, and how they could help save Linux from Apple. Azure Sphere is Microsoft making silicon as a service with Linux at its core. We’ve chatted with the folks behind Azure Sphere and breakdown this huge announcement. Plus a bunch of community news, a string of app picks, and maybe even a concerned rant. We have some Plasma problems this week, but we’re sticking with it and still putting it into production in our most ambitious event yet. But we start with a bunch of important community news, including what looks like ZFS on Linux’s first major bug, the future of Elementary OS apps, and a proposal to revamp Ubuntu’s betas. Richard Stallman has some practical steps society could take to roll back the rampant and expanding invasion of our privacy. But his suggestions leave us asking some larger questions. Plus the latest on the march to Juno, some fun app picks, a quick look at Qubes OS 4.0, community news, and more. A new version of Slax is out this week, and they might just be onto something really unique. We take this Debian powered, Fluxbox running, net bootin distro for a test drive. Plus Google moves to block GApps on “uncertified devices”, Red Hat turns 25, a new Wayland contender, a few app picks, and much more. We’re playing just one interview from SCaLE this year, tons of community news, and two handy app picks. Plus webOS returns, some fundamental Linux plumbing upgrades, and Private Internet Access goes Open Source. Special Guest: Ilan Rabinovitch. This week Noah fills in for Chris while he's on his return journey from SCaLE! The guys get down deep on a variety of topics from screen sharing in Plasma under Wayland to the status of the GTK 'CommuniTheme' for ubuntu 18.04 and more! We chip away at a larger meta topic this week, but before we get there we share a batch of community news, live technical feats & a random post show. Wes & the Beard kick Chris out to share their top tips for starting 2018 out right, plus a holiday surprise from Linux Journal, a new device for Google’s Fuchsia & an unfortunate new flaw in a processor near you. 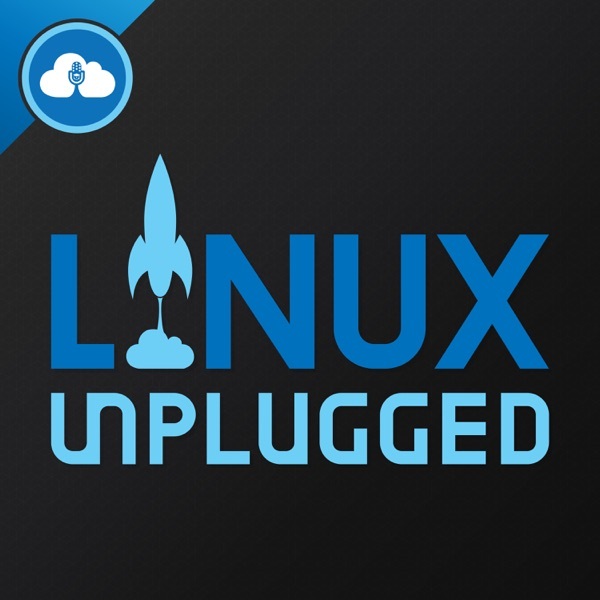 We break from the unformat of the show for a special holiday chat about the top moments in the world of Linux this year that impacted us the most. Why Bitcoin is the next Linux, the Gentoo Challenge is in full swing, and we catch you up on the latest community news, a throwback app pick & more! We review Ubuntu 17.10 & discuss some of the major achievements this release represents. Plus we break down an important Linux kernel news story, get updates from the community & more! It’s Wes & the Beard this week as we cover tons of stories. TopIcons is officially unmaintained, KDE launches the XFree kwin project in an attempt to rid themselves of XWayland, Synergy goes closed source, Microsoft & Canonical build a custom linux kernel & more! Why the big Samba vulnerability is no WannaCry, Wimpy gives us his take on e-gpus under Linux, our first take on Plasma 5.10 & a tool that will finally get you to use Docker! NextCloud 12 is out & Jos joins us to chat about the highlights, Marius Quabeck joins us to discuss Magic Device Tool’s secrets. Plus we cover a bunch of project updates & more! We review System76’s Galago Pro, have a crisis of faith about the future of desktop Linux, get completely blown away by our community, help you BASH better & more! We celebrate Pi Day by loading Mycroft & Alexa onto a Raspberry Pi 3, look at the actual use cases for VR & AR under Linux today, flash back to Linux in the 90s & update on our favorite projects. The worst smart device hack we’ve ever heard of, dreams of the Pi Zero W, the AWS outage that savaged the Internet of Things & more! We take a look at a material design influenced distribution, the FSF’s new high priority list & much more this week! We review the very worst moments in Linux during 2016, look ahead to what might be big in 2017 and toss out the rules for our last live episode of the year! We get the inside scoop on what happens when Canonical gets a bunch of employees & community members in the same room, discuss the cool open hardware project Chris just ordered for the studio & update you on the big community highlights of the week! We connect with the communities & hardware projects using Software Defined Networking, update you on some of our favorite open source projects, share some anecdotes from a recent trip & update you on our trails with OpenMediaVault. Noah joins Wes for the second time this week to talk with the mumble room. Package management for Bash takes it one step too far, Nvidia starts putting GPUs in your containers, we learn some surprising things about open source at Comcast & discuss just what "Microsoft ♥ Linux" really means. We go hands on with Linux Mint 18, then discuss the latest batch of desktop killers & Wimpy’s new rig. Plus what makes Mattermost really great, a new new universal package format, the confusing things Red Hat says & we get to know WireGuard! We have a spirited discussion from both sides of the universal packaging issue, take a quick look at maru OS that turns a Nexus phone into your desktop, get the inside scoop on the recent Mycroft update & the new Solus release. Plus much more! This week we dive into what the community thinks about putting a server in their pocket, show you some smart tricks with Gimp & some Windows nightmares. Plus some router chat & more! OpenStreetMap might just be one of the most important open source projects in the world. We look at some of the amazing tools built around this open & free infrastructure. Then our tips for producing great content & podcasts under Linux, plus a live unboxing & demo of the new Steam Controller. We take a look at some of the coolest technologies coming out of the Plasma desktop & finally a open source router you and your family can use. Then we share some of our favorite ncurses terminal based applications, you might just be surprised at how modern these terminal apps are! Noah hosts again while Chris is in the land of no service, also known as Utah! We talk about LibreOffice, Ubuntu's new Setup wizard, OpenSUSE's leap & more! Noah joins us in studio for a fun edition of Unplugged! Updates are landing on Ubuntu Phones, the ridiculous work around for a major performance boost on AMD cards, the real problem with Dell’s latest Ubuntu laptops & more! Join us as we peer into the past and revisit some big topics! We look back on some of the rants and events of 2014. Wether it's systemd, mir, tox, ubuntu or anything else, we covered lots of major events this year! Our frank advice for switches to Linux. Despite what what the advocates would have you believe, there are some important consideration a potential Linux switcher should make. Our team of silverback Linux users shares their tips after years of using Linux.